EVERYTHING SHOULD BE INCLUDED FROM OLD MOD OVERTIME! Most likely Helpful Recipes next! I changed the name as it wasnt very original and could clash with another mod! Adds in a way to convert ores/ingots into better ones. 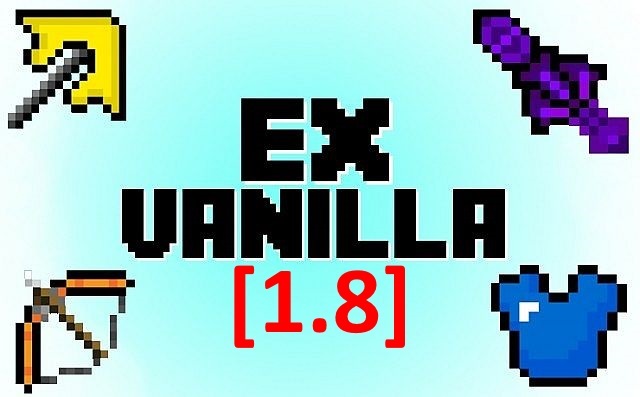 Use the ExVanilla V2.2 link (2nd link) or the same link below, these are the most up to date links! Adds in a few sets of tools, armour, also new bows and blocks. Gears and ore recipes for other mods need some work, they will be sorted in the near future! Also recipes will be posted soon! 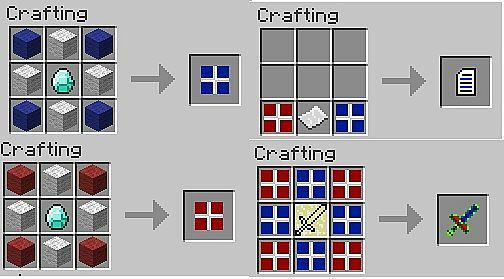 - this allows you to use the converter item to change ingots / ores into better ingots / ores (this mod adds in every well known ingot from big mods into minecraft), for example change copper into tin (for more examples look under recipes at conversion). The reason this is so cool is because you can use these ingots in all the big mods like IC2 and thermal expansion ETC. Each time you use the converter item in a crafting table it will loose 1 durability it has 15 + 0... which makes 16 uses (thats just how it works...). Download This Picture For Easier Viewing - if you have any better ideas of how to display these recipes write it in description! Gear Recipes arnt on here yet due to them not working correctly yet! If you download please leave a comment and give your feedback! How do you install this mod slimenamedjerry? Sorry about the wait, to install the latest version you need to have forge 1.8 latest installed, then you take the jar file out of the zip and put it in the mods folder. I'll add a section on how to install soon. Can I help texture, it's my specialty. I appreciate the offer but I prefer to do the textures myself. I suggest you use HD textures. Thx the advice, I'll probably look into doing that after I've implemented all the old items. Slimenamedjerry can I use this in my modpack? Very sorry for the late reply, you can use this in your modpack if you wish, leave a comment with the link to it so i can check it out! My is Modpack coming out this month called "Twisted". All credit will be given. how do you install it? I downloaded it but how do i install it so it works? Does is also work with 1.8??? Its currently for Minecraft 1.6.4, I will update it to 1.7 when I have the time, there are barley any 1.8 mods if any as its brand new. What do you mean about using it for inspiration? Thx for the support. This is either a conflict or an error on your part as I play on a server with this mod installed along side 20 others and it works fine, I hope you get it working. Nah, I've figured it out. My forge was 1.7.10 but I play 1.8 (newst update) and well, it crashes, so I have to wait untill the new forge is avalible. Id love to help but unfortunately I'm not experienced enough to teach modding, I'd recommend searching the subject on YouTube and learn from there, that's how I learnt, also there are a few things that online tutorials can help with, it's not too hard once you get the hang of it. Hope this helps, thx for diamond. If the video is good enough then sure ill put in on the forums if you want, there are some loose ends to the mod and updates are coming out soon - so make sure to include that. also whats your youtube channel? Can i use your mod for a modpack? THANK YOU SO MUCH, USING THIS IN MY NEXT YOUTUBE SERIES. Diamond.